Details: Ray had a productive visit to Chancel Street in Southwark on 16th April 2018. 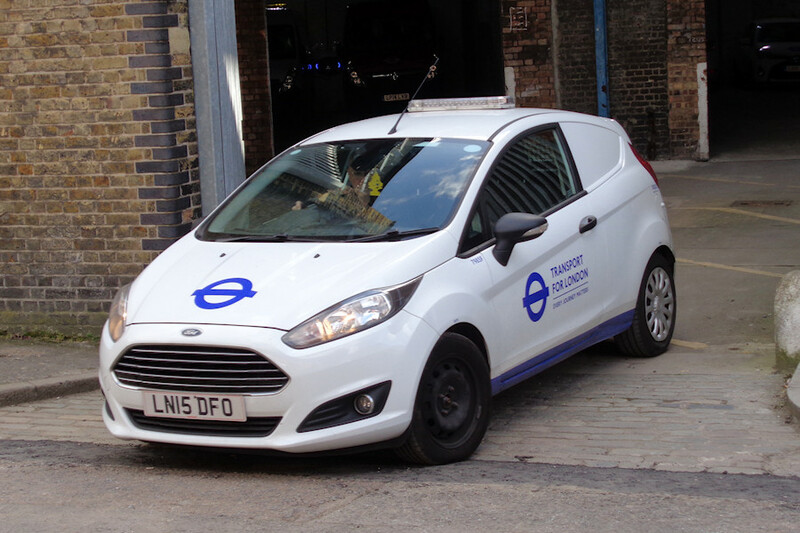 Caught leaving the base was TfL Ford Fiesta van 7985F, reported only a handful of times since it was new in 2015. TfL has 6 such vans, all of which are highly elusive. They don't appear to be based at Chancel Street but do visit from time to time. Just visible in the shadows behind is LBSL Passenger Data minibus 7828V.